This is such a special time for me, not only is it my birthday month but its also Holistic Foodie’s birthday! So I had to create a special recipe and this dairy free matcha cheesecake is a perfect celebratory dessert. I cannot believe I launched this website one year ago today and about two years prior I launched the business which really was just my Instagram account haha. It’s crazy to think how much has changed since I began this site and I have surely had my fair share of stress with it but also the best moments as well. This site (and launching my biz) has been beyond scary for someone like me who considers herself more of an introvert but I am really proud that I decided to take this leap of faith. I am also super proud of this dairy free matcha cheesecake as well! I must confess that in my younger days given the option to have a muffin, I would always order banana nut. I also thought they had to be fairly healthy because they contained banana and nuts and so they were a “better” option than the rest. So it only made sense that I would set out to recreate them with these vegan banana nut muffins from my youth albeit using some slightly different ingredients and modifications. 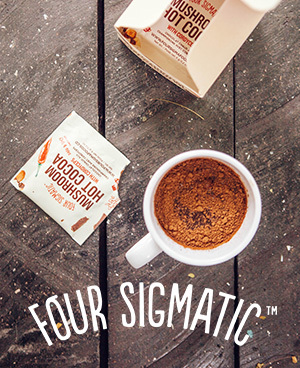 And what better way to wash it all down than with a superfood hot chocolate? How in the world is it already mid-August?! I really have no idea where August went but I am getting really excited that my NYC trip is coming up soon (Labour Day weekend to be exact). I haven’t been to NYC in about 15 years so this trip has been a long time coming. Summer is in it’s peak weather wise here in Toronto and it has been hot and humid leaving me to take multiple showers throughout the day just to try and keep cool. Now that I have been experimenting with these chocolate coconut popsicles though, I can now keep cool without using too much water, I don’t know why I waited so long to make my own popsicles? I had been stuck in a food slump as of late and could not think of anything to make that was new or creative, which was a real bummer when you are trying to blog about food. One afternoon I wanted to make caramel chocolate ice cream with frozen bananas and have it on a cookie crust, that recipe was a MASSIVE fail and just did not work at all! Not too pleased with myself, I put the caramel in the fridge, because I had only used a bit of it and there it sat for a few days. Every time I opened the fridge, I saw it there staring back at me…taunting me (ok, I’m exaggerating but it felt like that) and I didn’t have a clue what to do with it. Then, I just knew what had to be done and quickly whipped up these no bake chocolate peanut butter bars and knew at first bite these were legend………………..wait for it, dary, legendary! How about we make this vegan strawberry rhubarb crisp the new normal or traditional crisp? Yes please! Although were heading into spring, it hasn’t exactly felt like spring yet to me so I decided to try out a new vegan chocolate banana bread recipe because I was in a baking mood and wanted something comforting. There is something about banana bread baking away that screams comfort food to me, probably because I used to love when my mom would whip some up for us when we were younger. The smell that overtakes the house is absolutely magnificent and I could eat the whole loaf in a matter of days no problem. I love adding chocolate chips to mine, but if you prefer to leave them out, no worries, it will still taste amazing.